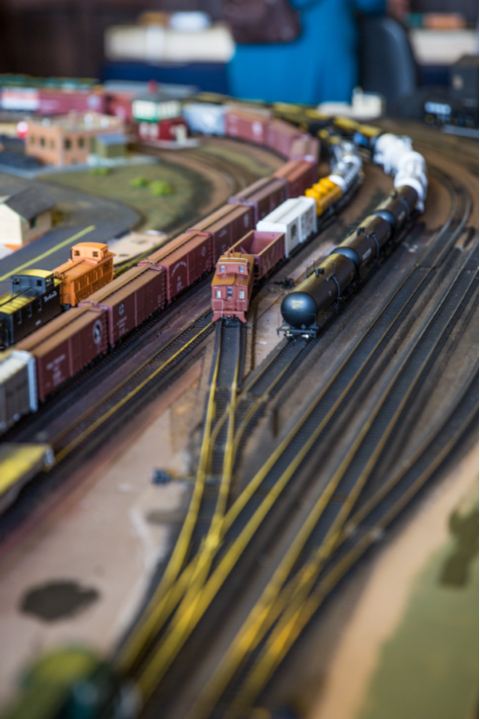 The Laramie Depot would love to have you join our Train Modelling Club! Model Railroad Running sessions will be announced shortly as well as layout workdays. The Laramie Depot Association sees modelling as more than just a great hobby, it is also an ideal opportunity to preserve railroad history and operations while also ensuring continued interest by future generations. An HO scale DC modular layout on display during open houses, and currently being adapted for permanent display in the caboose. An N scale DCC layout in the museum depicting the Laramie North Park and Western operations in Laramie in the immediate post-war era. A third layout is currently proposed for the bunk car of the snow train. Current planning is a two level N scale DC or DCC shelf layout with a potential 11 scale miles of continuous running. These instructions are for a reinforced paper N-scale model. Download the four images and copy them to a Word document, and then print them using landscape orientation on legal size paper, and set the scale to 100%. Click on the steps to open them and then hover over the photo to see instructions for each step. We would love for you become a member of the Laramie Historic Railroad Depot’s Modelling Club. For more details or to join, use the form below to contact the modelling coordinator, email us at modelling@laramiedepot.com, or call Joseph Cook at (307) 361-3045.